Non-profits dedicated solely to parking policy are rare beasts (for now) but this month's Reinventing Parking focuses on just such a creature. My guest was Tony Jordan, founder of Portlanders for Parking Reform in Portland, Oregon, USA. You'll find their efforts an inspiration and a useful model if you want to make a difference on parking in your own city or town. Scroll to the end for more about Tony and the group as well as a link to his new parking reform commentary/news service, the Parking Minute. READ the article below, which is based on the interview. LISTEN to the interview itself with the player above. Get it as a podcast. Listen with your usual podcast player app and subscribe (it's free). Search for 'Reinventing Parking' in a podcast player app or click the wifi-like icon in the player above. Inspired by Donald Shoup's book! Prior to about 2010, Tony Jordan had no idea about parking policy. And until 2008, when he got rid of his car, he was just like most people in the USA, wanting a parking space wherever he went, and not wanting to pay for it. But going car-free prompted some urban transportation advocacy efforts, which led him to stumble on an online post about Donald Shoup's book, The High Cost of Free Parking. It made a huge impression. "It's shocking when you first learn how much parking costs and and how much space it takes up." His parking education continued with the Parking! Lots! series from the Sightline Institute (environmental think tank covering Oregon and Washington states in the USA and British Colombia in Canada). Portlanders for Parking Reform now works closely with Sightline fellows based in Portland. So in 2012 and 2013, when Portland City Council wanted to reimpose parking minimums on apartments in transit corridors (they had been removed in 2002), Tony thought, "well, I've read this book, I'm an expert!" So he went and testified at the planning commission. Tony (and friends) lost that first battle but they learned that there needed to be someone to to turn out the good guys at Council when necessary. Things don't get through City Council because they're good ideas. They need people who are organized. Portlanders for Parking Reform grew out of Tony's testimony experience, the city parking committees he was invited onto, and the like-minded people he met along the way. It began online as 'PDX Shoupistas' and went from there. The next campaign was against proposed parking minimums for Northwest Portland, a dense urban core district that had never before had parking minimums. A crucial ally this time was an organizer on tenant issues. Convincing her of the negative impacts of parking on housing affordability brought another powerful testimony voice and narrative to the debate. This was timely as housing costs had just become a hot issue. So this time, they prevailed. The proposal for new parking minimums was dropped. The parking reformers have allied with ad hoc coalitions that, depending on the issue, often include housing affordability and tenants rights activists, transportation advocates such as pro-transit, pro-bicycle and pedestrian advocates, small scale developers (and some large ones sometimes), and people concerned about traffic safety and environmental issues. The other side of the table often includes single-family homeowner groups, certain types of small business owners and neighborhood groups that are concerned about "livability". Tony recently carried out an online survey on the state of parking activism around North America. There are almost no other similar groups but he feels other cities could benefit too. Even though the organization itself is small, Portlanders Parking Reform it has enough of a core group of people to make a difference. 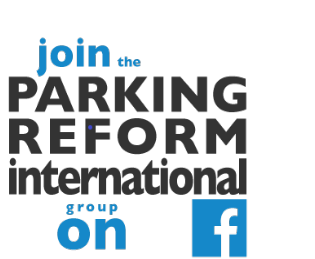 It is also a crucial focal point and resource to help a wider set of allies make a difference on parking reforms that align their their own goals. The group tracks parking policy developments and keeps the others well-informed and alerted to events that may call for action. It is useful to have a group willing to be the vanguard and "take the heat" on an issue that some fear will get too hot for them. In 2013, as mentioned earlier, Portland reimposed parking requirements on apartment buildings in transit corridors. The minimums were a set of tiered requirements that started at 30 apartments. The minimums were not set very high but Tony and his group felt they were a mistake. A few years later, when the mayor expressed interest in reversing those requirements in exchange for affordable housing, the parking reform advocates swung into action. The result, in 2016, was a waiver of the parking requirements for apartment developments that voluntarily included some affordable housing. Then in February 2017, a city wide mandatory exclusionary housing rule meant most new apartment building have to build affordable housing, and therefore get a parking waiver. Effectively, the parking minimums were gone again. The four year window in which parking requirements applied have provided interesting data that strongly suggest that the minimums cost the city hundreds of housing units. In short, while the minimums applied, there was a surge in 30-unit developments, just below the threshold that triggered parking requirements. After Feb 2017, there are signs that this has reversed. There are telling examples of projects that initially proposed 30 units, now reapplying with a larger number of units. This suggests that even these relatively low parking requirements probably killed off around 10 to 15 units from many apartment developments. Since the 1980s, Portland, like many cities, has had a simple residential parking permit system aimed at preventing 'hide and ride' parking in neighborhoods close to the city center or inner-city transit. These permits are very cheap ($60 per year) and households can buy as many as they want. So sometimes areas have several times more permits sold than parking spaces available. Portlanders for Parking Reform has been pushing for a more robust permit system to complement the abolition of minimum parking requirements. The centers and corridors committee (which included Tony) proposed a permits system in which residents in single-family-home areas would be able to buy permits but would also be able to vote to add surcharges that could fund benefits in the area. Residents of the permit zone would get first pass at permits which would then be opened for others (such as apartment residents along busy corridors just beyond the permit zone). They also proposed escalating prices for permits beyond one per household and that, if you had a driveway your first permit would cost as much as the second permit for someone who didn't have a driveway. The idea was that, if we can get some cars into driveways, there's probably enough space. Unfortunately, the proposal did not pass. However, something similar HAS been taken up as pilots in two areas. One of them is Northwest Portland which, as mentioned above, didn't get any parking minimums. Permit prices in the pilot areas are approaching $370 per year. At this level, we may begin to see an impact on car ownership decisions. We returned to the question of tactics for parking reform advocates and Tony talked about the value of simply speaking up with honest talk about parking. For example, repeatedly emphasizing how much parking costs is effective. For someone who's intellectually honest, it's hard to demand that apartment buildings should have a one-for-one parking ratio of they understand it will add several hundred dollars a month to the rent. It is powerful for people to realize that there are actually people who don't think that it's crazy to charge for parking and who don't think it's a good idea to build as much parking as possible. So a big part of what the group does is just getting these messages out and broadening that base of people who understand parking at least a little bit. How does Tony see parking pricing fitting into the story? Portland is slowly and cautiously getting ready to implement demand-based price setting for on-street parking. I asked Tony if he sees this as important. Beyond the usual reasons (such as that better parking management avoids the perception that parking is in shortage), Tony sees the revenue as an important opportunity, if cities handle the issue well. Even though Portland already gets substantial parking revenue, it is less than they should get. And with programs like the Transportation Wallet (mentioned above), there is a tremendous opportunity to not only solve some short-term parking convenience issues but to also create a feedback loop to encourage people to not drive so much. So parking pricing is important because it is such good transportation demand management and because it lines up with climate policy and gradually reducing car ownership and with setting us up for better Automated Vehicle (AV) scenarios ('Heaven, not Hell'). This opportunity won't last forever! Parking demand will drop off in the future. When, or if, shared-mobility and/or AVs proliferate, the revenue will decline and the power to influence behavior with parking will drop away. So now is the time to make use of this tool, while parking is still highly in demand, and now that technology and the social narratives are moving towards more innovative party management. "Every day you're leaving that money on the table, and you're not using it for TDM, you're encouraging people to buy more cars and to drive more ... Every parking stall that's built is a 30-year commitment to a car being in that space and to the status quo on climate action, which we can't afford." Tony says the time is right. The narrative that parking might be going away actually makes it more politically possible to argue for more radical parking policies. It is getting harder for opponents to argue that cars will be here forever. Alternatives are also getting richer (with ride-hailing, e-scooters and so-on) so it is harder to argue that your car is your only mobility choice, at least in urban contexts. But the longer we wait, we're going to miss the opportunity. We are trying to get them to price parking properly now, but also to warn them that new parking is a bad investment. We are going to be very overbuilt, if we don't pay attention. We then talked about the worry that city governments might get 'addicted' to parking revenue and then be reluctant to ever repurpose parking spaces for better uses such as public transport priority or protected bicycle lanes. Tony made an important point: to avoid the city getting hooked on parking revenue, any new revenue should go to Travel Demand Management efforts like Portland's Transportation Wallet. The money should NOT go into the general fund. And some should also directly rebate low income people to both improve lives and to counter the impact of parking pricing on lower income people (at least those who have cars). Tony Jordan is a radical parking reformer in Portland, Oregon. 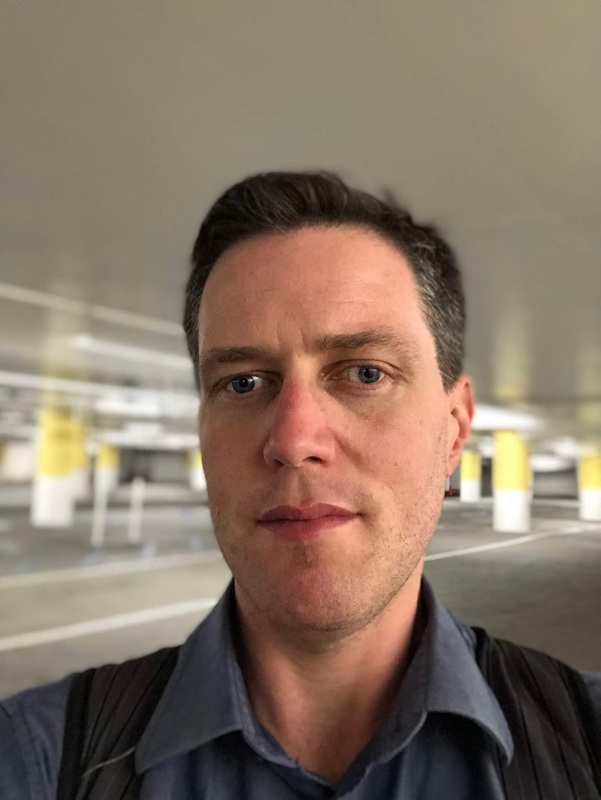 A former software developer with experience as a union organizer and a BA in Politics, Tony brings a multidisciplinary approach and outsider’s perspective to housing and transportation advocacy. Tony founded Portlanders for Parking Reform in 2015 and is now working full time on efforts to inform the public about the impact of parking policy on climate change, traffic violence, and housing affordability. Check out Tony's new daily parking blog, the Parking Minute (also on Twitter). Tony and some colleagues are also planning further parking advocacy beyond just Portland. Get in touch with him if you're interested in that. You can find Tony on Twitter for example. The Parking Minute (also on Twitter).